HB 1323 – This bill exempts certain discussions relating to chief executive officers who are supervised by a public body from public sessions under the right-to-know law. HB 1344 – This bill declares that public meeting for the purposes of the right-to-know law shall not include strategy with respect to collective bargaining if only one party is present. Current law allows strategy or negotiations with respect to collective bargaining to be exempted from the definition of public meeting. HB 1347 – This bill requires that certain information made during deliberations under the right-to-know law be recorded in the minutes. HB 1337 – This bill adds courts to the definition of public body under the right-to-know law. 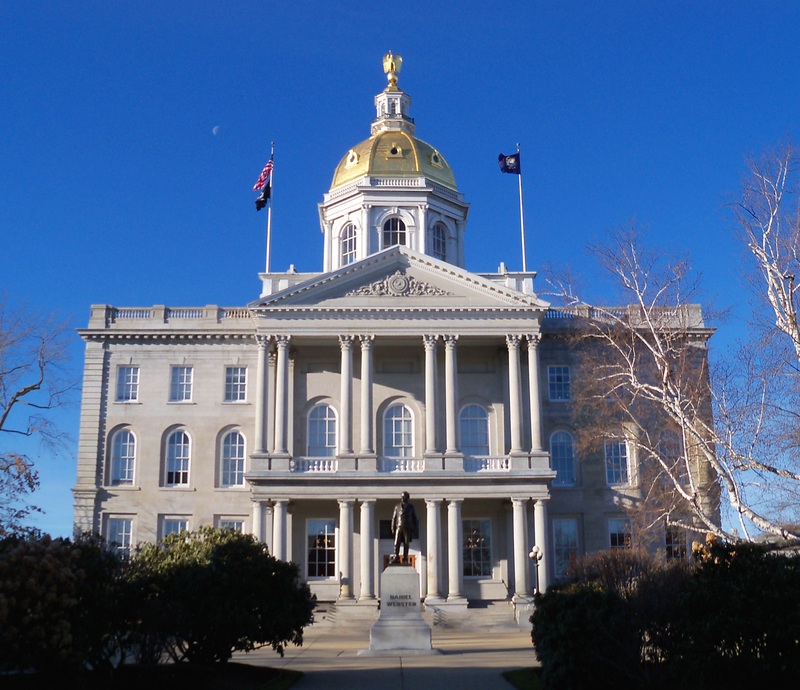 HB 1398 – This bill establishes a commission to study financial incentives for professional media production activity in New Hampshire. HB 1483 – This bill adds any technology utilizing wireless entry points to the definition of a communications common carrier. HB 1520 – This bill establishes a procedure for public access to ballots and allows citizens to request a verification count of machine-counted ballots. HB 1557 – This bill requires that an audio and video recording of all proceedings of committees of the house of representatives shall be available for live viewing on the Internet and posted on the general court website. HB 1627 – This bill establishes penalties for transmitting images or sounds of an individual on private property without consent, or to engage in surveillance of another without consent. The bill also amends one of the criteria used to establish “course of conduct” under the stalking statute. HB1759 – This bill regulates the use of drones by government agencies and individuals. This bill establishes criminal penalties and civil remedies for violations of the law. HB 1579 – This bill requires records to be kept for certain exempt convenings under the right-to-know law. HB 1786 – This bill declares that no cost shall be charged for the inspection or delivery, without copying, of governmental records under the right-to-know law. HB 1788 – This bill declares that the cost charged for copies of governmental records under the right-to-know law shall not exceed the prevailing commercial rate for the producing of copies. HB 1789 – This bill declares that there shall be no costs charged for delivery of electronic governmental records under the right-to-know law. SB 362 – This bill requires disclosure of federal income tax returns by presidential and vice-presidential candidates and posting of the returns on the secretary of state’s website. SB 395 – This bill clarifies access to electronic governmental records under the right-to-know law. SB 420 – This bill declares that public meeting for the purposes of the right-to-know law shall not include strategy with respect to collective bargaining if only one party is present. Current law allows strategy or negotiations with respect to collective bargaining to be exempted from the definition of public meeting. SB 555 – This bill establishes the citizens’ right-to-know appeals commission and the office of the right-to-know ombudsman. This bill also establishes an alternative process to resolve right-to-know complaints.